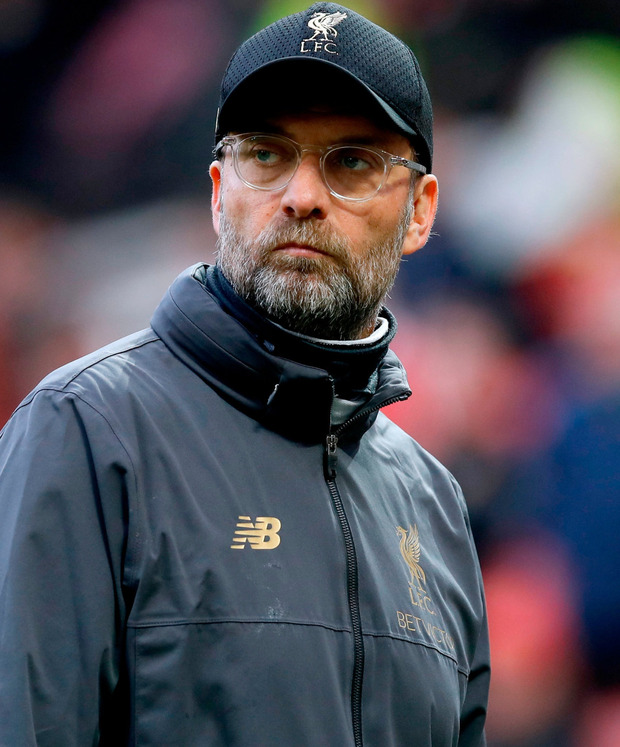 Jurgen Klopp says time is on Liverpool's side as they look to secure the Premier League title, insisting: "This is our first chance to win it, not our last." The German's media conferences are beginning to resemble state-of-the-nation addresses, the Anfield manager keen to emphasise where Liverpool are in their development and how much they have improved to get there. "No plant grows as quick as expectations here," he said, ahead of tonight's home game with Watford. "With the first chance, you jump in and then see if it works out. Sometimes it does, sometimes not. This will not be our last, 100 pc not." It was a perceptive but timely response to criticism after successive goalless draws against Bayern Munich and Manchester United. "Do other teams perform constantly? They don't," Klopp said. "Sometimes they have the result, but we don't look at them in detail, we just see they are winning. "You only have this obsessed look on our football. Yes, there were moments when I wish we would fly a bit more, but you don't fly because you want to fly. You fly because you work for it. "The situation is new for a lot of people. Last year we fought so hard for the Champions League. Obviously it feels different to fight for the next level. You have to adapt to that but I think the boys adapted really well. Why is it such a problem for us to win 1-0?" With City a point behind, Klopp was asked if Liverpool had to win their remaining fixtures to be sure of the title. "When you hear it, you think, 'That's a bit difficult'. Is that really the only chance we have to become champions? I'm not sure," he said. "One generation has to break through. It could be nice if we could be that." Meanwhile, Roberto Firmino's ankle injury is not as bad as feared and he could play against Everton this weekend.